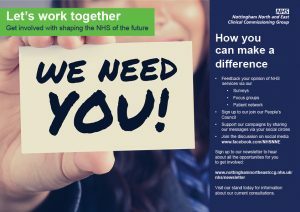 Get involved with shaping the NHS of the future! In September 2016, we’re launching our new-look patient newsletter. It will be packed full of news about your local NHS, tips for looking after yourself and information about local health services. We will also use to let you know about proposed service changes and the consultations we are running.